Last week when I was attending Sew Pro, I saw Alison Glass. Alison is not only one of the sweetest people I have ever met, she has a uniqueness that is absolutely charming. This quality comes through in all of her fabrics. There is nothing that can compare to Alison's fabric collections for Andover Fabrics. When you see her fabrics, there is no doubt that the colors and the designs are from her. Intense, whimsical and earthy. I love this collection and I am sure you will too! This week I chose a variety of Aurifil thread weights. 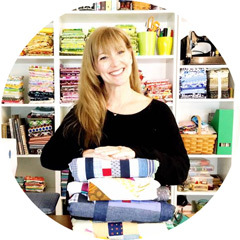 Alison is not only a quilter and wishes that her fabrics be used in many ways. My favorite is the 28 weight that is easy to use and really makes any quilting or topstitching pop! Love high impact threads! Alison also now has new garment patterns! She and pattern designer Karen LaPage designed these versatile patterns to create the perfect dress for you. Best of all...POCKETS! I am sold! I will be making a woven dress very soon! Alison sent me her new Look Book which is more like a lovely high end dream catalog. Not sure what the words are because all of the photos are so breathtaking I could not get to the words. This will be added to my sewing room books for inspiration purposes! 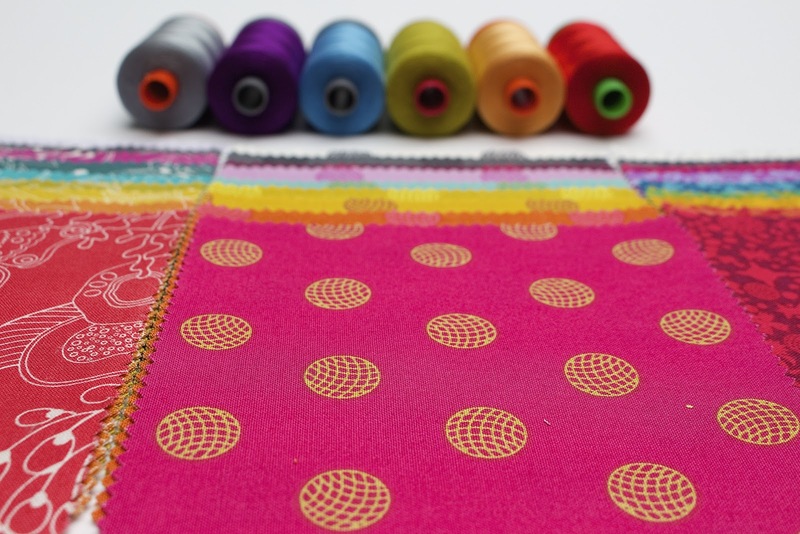 What fabrics are you sewing with this week?